This Orange County firm wasn’t sure what they were getting into when they asked to have a drum circle workplace wellness program in their firm in March 2015. The twenty or so employees who attended became highly engaged, creative, and experienced a big boost in their energy. In the above video, staff can be seen exploring creativity and communications with fellow employees. There was also a genuine willingness to follow Dolle’s instructions to bring what began as a rhythm only with bells, into a fully synchronized drum circle rhythm. In life & work, innovation comes when you trust your instincts in working with one another. This 8-minute rhythm in this drum circle video began with (4) complimentary gongo bell patterns that involved two senior partners of the firm. Next, hand drums, sound shapes, and small percussion were incrementally brought in to support the bells and beat pattern. The result was an improvisational masterpiece. The video only captured the final two minutes. The truth is, the same health challenges that affect us at home, can affect your productivity, creativity, and problem solving abilities at work. So this Orange County firm experienced how drumming can be one of the best activities for workplace wellness, how it stimulates employee engagement, and activates key productivity centers in the brain. As founder, drum circle facilitator, and neuroscientist with Dolle Communications, Stephen Dolle has considerable experience with drum circles and related workshops. He can also offer tips on employee engagement and productivity. Dolle has seen a lot of workplace challenges made more manageable thru drumming. What makes drumming unique, is how it affects both the brain and body, where the vibration of the instruments produces a calming effect on the individual. It results in a happier, more engaged, and connected employee ready to deal with the challenges of the workplace. Drumming for stress reduction/resiliency, where drum circles allow employees to engage and play/share during the middle of the work day in a fun environment. The benefits include increased productivity and employee health. Typical play times are 30 to 60 minutes. Drumming for team-building, where drum circles are used to help employees better connect and improve working relationships, critical in team concentric operations. This type of drumming is also ideal at ice-breakers and retreats to get participants to come and and engage with others. The benefits include increased expression of thoughts & ideas, improvement in productivity, and fewer errors and mis-understandings thru improved communications. Typical play times are 60-90 minutes. Drumming for creativity & problem solving in the workplace. This is an issue in the workplace that is not well understood, where strategies range between compartmentalizing challenges to brain storming sessions. Ultimately, there are two primary forms of problem solving: 1) analytical or comparitive reasoning, and 2) free-thinking where methods are employed to free up worker’s minds. The benefits include increased problem solving ability thru retraining of the mind. Typical play times are 60 to 90 minutes. Now for some remarkable brain science and workplace development. Employees tend to play much better when not instructed as to how or what to play. The reason is, when faced with unfamiliar circumstances and no punative consequences, employees will usually rely on their innate problem solving abilities, in which case here is the ability to play music and rhythm that is innate within all of us. As such, most groups do very well. Group drumming in the workplace then builds trust and confidence in one’s innate abilities, where typically people have either been discouraged from trusting their judgment, or have been given strict instruction not to act on their initiatives. It is in this latter regards that strict company structure can leave employees never learning to trust their judgment in leadership, problem solving, or managerial duties. Group drumming can be just what the doctor ordered, and help usher in change towards more healthy group dynamics. Not only is this good for productivity, it’s critical for stress-relief and mental health. The Centers for Disease Control (CDC) defines “workplace wellness” as a health promotion activity or organization-wide policy designed to support healthy behavior and improve health outcomes while at work. They report that these programs should consist of activities such as health education and coaching, weight management programs, medical screenings, on-site fitness programs, and more. Notwithstanding living with chronic illness or injury, the biggest challenge to workplace productivity remains employee engagement and maintaining the necessary focus to do your job really well. Dolle says more challenges at work are due to inadequate mental focus. So he says the solutions, then, should be tailored to maintaining mental stamina, flexibility, and executive cognitive skills. There are a number of organizations today which provide consulting in employee health as recommended by the CDC. 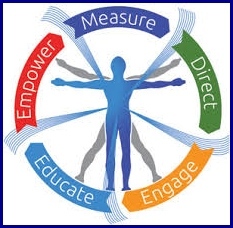 The CDC also offers a free worksite health scorecard and other materials for implementing a health promotion program in your workplace. Concentra also offers health program consulting designed to encourage healthier lifestyle behavior in employees, intended to reduce health care spending. A successful wellness program can benefit employers by developing and maintaining a healthier, more productive workforce and community. Drink 6-8 8 oz. 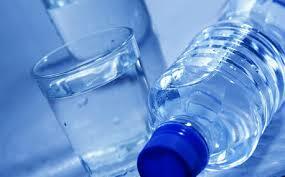 glasses of water each day for optimal health, plus it helps ward off migraine headache. Dolle notes that the two most important things you can undertake for wellness and productivity at work is proper hydration with water throughout the day, and moving about physically. You should also follow these practices at home. 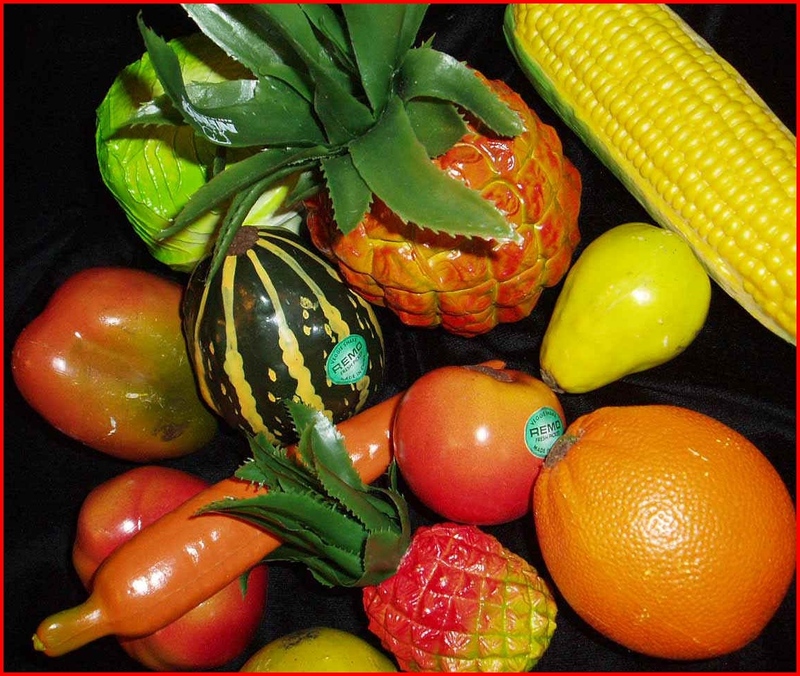 These two simple steps, he says, help keep blood flowing to deliver oxygen and needed nutrients to your body’s vital organs, including, to your brain. 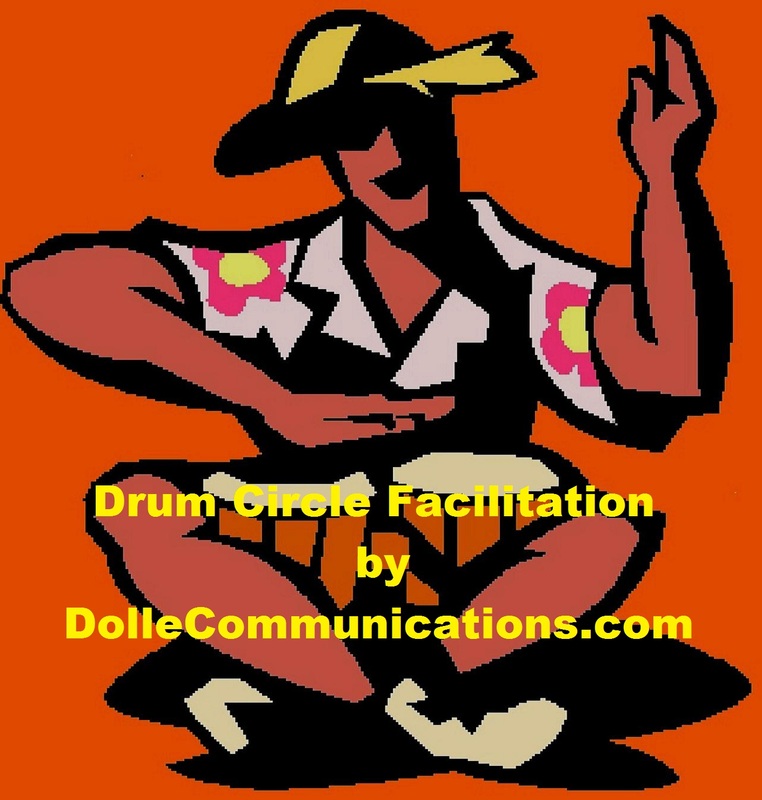 Dolle Communications provides drum circle facilitation, tips on employee engagement and productivity, learning and leadership, and mHealth design consulting in the greater Orange County, CA area. Dolle provides all the necessary instruments and materials for a drum circle, and facilitates a variety of drumming workshops at your place of business or desired location. Drum circles aid resilience, leadership, creativity, productivity, and wellness in the workplace. It truly is an organicly inspired staff experience! Stephen Dolle facilitating a Drum Circle on Wellness in 2010 at the Hyatt Hotel in Irvine, CA. The company puts on a variety of drumming for wellness workshops, which have become recognized today within integrative medicine in offering substantial health benefits to a range of medical conditions. Dolle also has several startups under his belt, including, DiaCeph Inc., a startup for his 1997 design of an mHealth app (DiaCeph Test) for hydrocephalus. And from 1982 to 1992, he serviced more than 50 hospitals through his medical imaging company, Certified Nuclear Imaging (CNI). CNI presented Dolle with the opportunity to work with a vast array of medical instrumentation challenges that would be overwhelming for most technologists. He developed workplace methods and discipline that allowed him to excel in complex technical and medical challenges. The result was that he became more productive in performing procedures, while having extra time for sales and marketing to develop new business. He also became astute in client facility workplace challenges and often advised in human resource and medical instrumentation purchase matters, and wrote papers on these topics. Later, he raised money for and helped organize local sports & entertainment events, that could also be very demanding. Dolle has been involved in the neurosciences since 1992 with his mHealth technology start-up, DiaCeph Inc., and now with Dolle Communications. He describes workplace wellness as being about optimizing one’s energy and mental focus over a period of hours, days, weeks, and months. It is the few, the exception, he says, who truly master these challenges and successfully balance life and work. Dolle says the keys to workplace productivity is thru employee engagement and staying involved and “entrained” in what is happening around you. As you ascend in your work to higher positions, you will need to develop methods that exert more control over brain wave states and productivity. Dolle has undertaken research with “brain waves” and brain wave entrainment, and employs these methods in his drum circles and facilitation work. 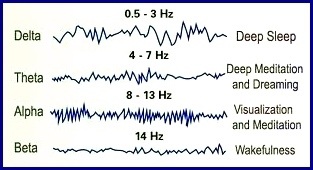 He describes that we change between alpha and beta brain wave states during our normal day, and that certain tasks and activities are best performed while in a particular brain wave state. Naturally, he says, our brain’s tire and we can become stressed and distracted. The experienced individual learns to transition their brain wave states and cognitive focus to overcome these challenges. If you’re reading a slow moving book or working on a tedious problem at work, for instance, you’ll want to be in a slower more introspective alpha brain wave state. But, if you are tackling a multi-faceted project, or are working with a team of staff people on a project, you may want a faster more attentive beta brain wave state. And one of the best ways to shape your brain waves is either thru “controlled breath” or “rhythmic movement.” This slide below illustrates some of the mechanisms involved in movement. There are a variety of techniques to help you transition between brain wave states. And group drumming, or drum circles, is one of the best. Drum circles utilize auditory driving and spur mindfulness techniques. Drumming also engages body kinesthetics thru rhythmic movement of instrument play. These movements stimulate the body’s proprioceptive memories, which boost cognition. This is why you perform better at cognitive tasks when tapping out patterns or shaking a foot at your desk. Group drumming also enables team brain wave entrainment, helpful in boosting productivity. Kinesthetics come into play in tai chi and yoga, among others. Group brain wave entrainment in drumming allows “entrainment” of the group to a rhythm played over 5-10 minutes. When sustained, members entrain to a common brain wave pattern, and thought intent. Rhythms vary from slow to fast, from primal to contemporary, corresponding to activation of hindbrain vs frontal lobe function. This principle is why you should not listen to contemporary music while meditating, as it will help awaken conscious memories and activate the frontal lobe, which will interfere with breath entrainment with your hindbrain. Sports play uses entrainment to for connectedness and success on the field or court. My in-depth basketball blog details the brain science and sports science mechanisms involved in play. Entrainment allows you to anticipate your teammate’s actions. Another example of entrainment is when women work or live together, when they achieve syncopation of their menstrual cycles. Rioting is yet another example of group entrainment, though based on negative thought and intent. Entrainment occurs in animals too, and is widely seen in pack hunting. Entrainment occurs more often in real life than you might think. There has been quite a bit of recent research with drumming and brain wave entrainment, which has led to drumming being used more often in stress reduction, cancer therapy, and treatment of chronic illness. Dolle undertook earlier research in sensory processing disorder or SPD, with this 2002 Sensory Processing Study. Two years later, he became involved in drumming. Dolle spoke on brain wave entrainment and trance states in STEM3 education at Wright State University in 2011. Below is his power point via SlideShare.net. Dolle believea trance heightened states are in fact a functional cognitive state you can achieve each day, and it is reported to occur in playing music, meditation, religious studies, fasting, and several other disciplines. Trance heightened states is mostly likely what athletes achieve when “in the zone” in sports. Dolle speculates on the role of trance states in this popular blog, Sports Science vs. the Brain Science of Basketball: Where does the Shot come From? Trance states could bring amazing new expert proficiencies to a variety of occupations. As an individual employee, your workplace goals in productivity should be in learning to better shift between alpha and beta brain wave states, and maintain optimum engagement so to get the most out of your work day. Perhaps some of the most exciting research being done today with rhythm and the brain is at the Gazzaley Lab at the University of California San Francisco, in collaboration with the Grateful Dead’s long time drummer, Mickey Hart. The Gazzaley Project is described as “Unlocking the power of rhythm to understand and enhance brain function.” Rhythm is a fundamental aspect of the universe at every level, and serves as a critical foundation for life on this planet. They’ve created a new video of some of their music and brain research in an effort to make it more fun and informative. The goal of the project is to advance an understanding of rhythm in higher-order brain function and how we influence brain rhythms through interventions like neuro modulation, rhythm training, video games, and neurofeedback. The ultimate goal of the project it says is to improve cognition and mood in the healthy and impaired, and positively impact quality of our life. Here is a fun related article about rhythm and the brain. This article on drumming by Dave Robertson lists the top ten (10) reasons why you should play in drum circles. No. 5 is perhaps most identifiable with drumming in the workplace. As for new trends in workplace wellness, the article below discusses a list of 12 U.S. companies with impressive workplace wellness programs. The list includes IBM, Aetna, MD Anderson Cancer Center, Virgin, Google, American Express, Johnson & Johnson among others. I am unsure on their standing with drum circles though. To learn more about the use of drum circles in the workplace and tips on employee health and workplace learning, contact Stephen Dolle at Dolle Communications. Feel free to also CLICK and SAVE the JPEG contact card below. I’d like to post a comment if I may regarding an article I read this morning on how #Obamacare and many other health plans offer limited cover for mental health services. As drumming, workplace wellness, and the many different forms of integrative medicine speak to the very causes that so often result in mental health disorders, I wanted to share this article and my PASSIONATE COMMENT in regards to mental health – that it will happen to all of us! You have an interesting web site. I liked your Twitter feed. Thanks for the accolades.